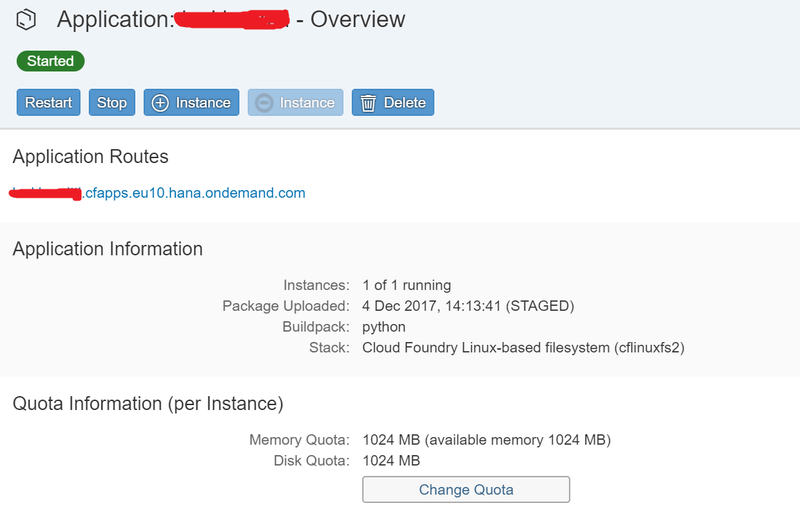 I am writing this blog to describe some easy steps to deploy a Python based REST API( Bottle / Flask ) application on the SAP cloud foundry environment. The current python application is a knapsack optimization problem solver created on Python using Bottle server and Google OR-tools. You need to have an SCP neo trial account or a US – EAST (VA ) AWS account or a US West (CA) running on Azure in order to try SAP Cloud foundry. Once that is done, follow the steps 4 to 6 on the tutorial here provided by SAP which help you with basic account setup. 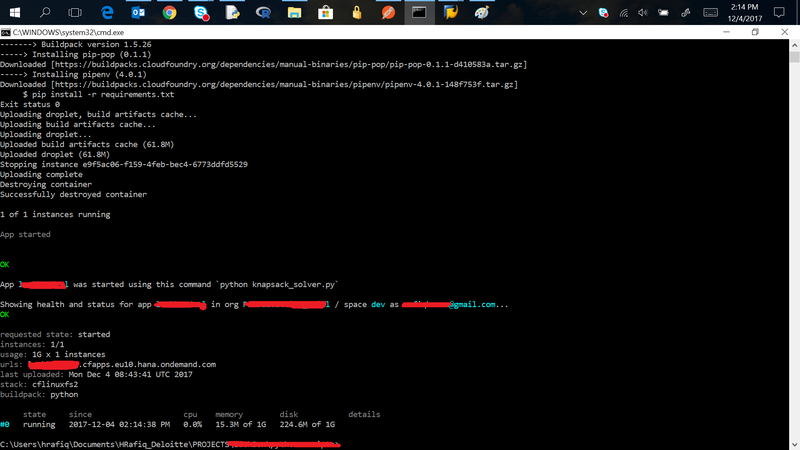 Procfile: File which contains Cloud foundry start command. requirements.txt: File which contains the names of external python libraries needed for this application.